ASICS quick drying fabric and functional design make this full zip training jacket an essential part of any active wardrobe. Exceptionally comfortable, water repellent and wind proof, this jacket is ideal for anytime of year. 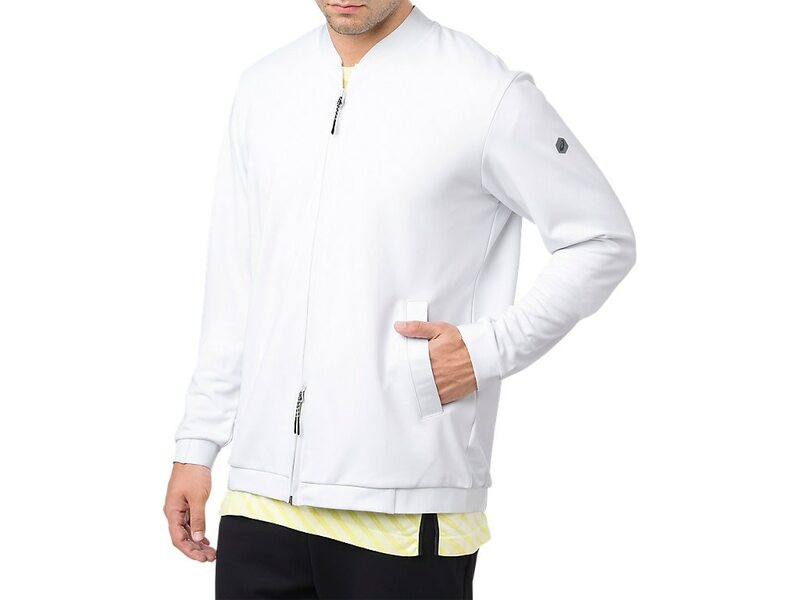 Breathable, stretch fabric along with a 2-way separator zip make movement effortless, and the asymmetric zipper prevents distraction and adds a trendy look to the jacket.